The British premium gin BOMBAY SAPPHIRE wanted to pay tribute, on the one hand, to its artistic roots and, on the other hand, to the botanicals at the heart of the drink. So they asked us, a literature-loving agency with grand emotions, to create a holistic event concept that would subtly link both aspects. We didn’t hesitate and responded: “And above all, watch with glittering eyes the whole world around you because the greatest secrets are always hidden in the most unlikely places. Those who don’t believe in magic will never find it.” After all, Roald Dahl must have had such a place right in front of his eyes in the 1990s, while he worked on his last book The Minpins: Berlin-Pankow. Or to be precise: the Botanic Gardens in Berlin-Pankow. During Berlin Art Week, in cooperation with JUNIQE.de, this proved to be a truly unique venue for an even more unique opening, to which friends, partners and opinion leaders from the art and bar scene were invited. But see for yourself. 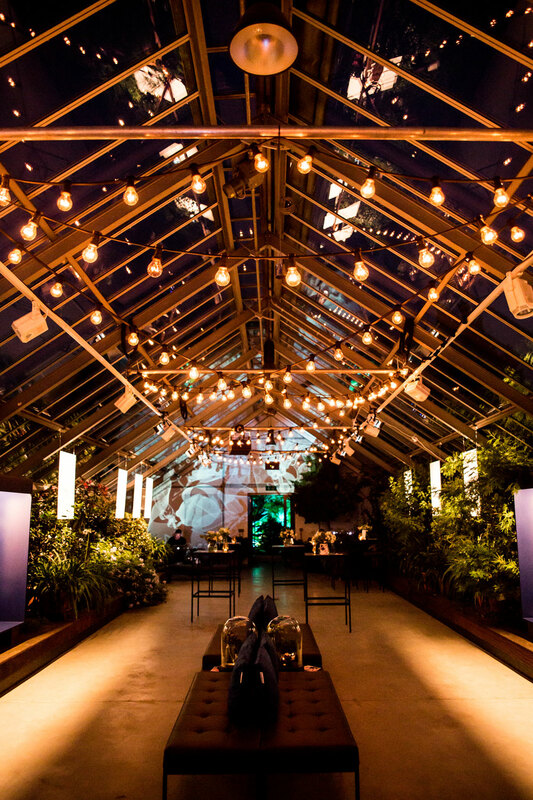 The BOMBAY SAPPHIRE Secret Art Garden in the Botanic Gardens in Berlin-Pankow. 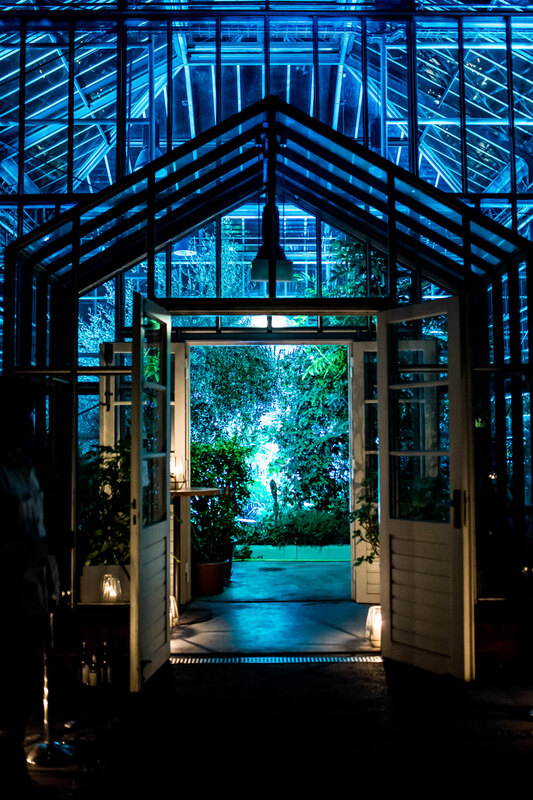 Inspired by the Bombay Sapphire botanicals, the result was a creative, completely vegan menu by Berlin chef Lisa Buddrus. Sophia Voss, bartender at the multi-award-winning Bar am Steinplatz created the drinks as an inspirational starting point for the two Junique artists Paul and Ekaterina. The sensational atmosphere of the hothouse in the Botanic Gardens in Berlin-Pankow. The focus of the evening: the works of artists Paul Aidan Perry and Ekaterina Koroleva. All 10 botanicals were illustrated and described in detail and used to guide the guests on their botanical journey through the evening. 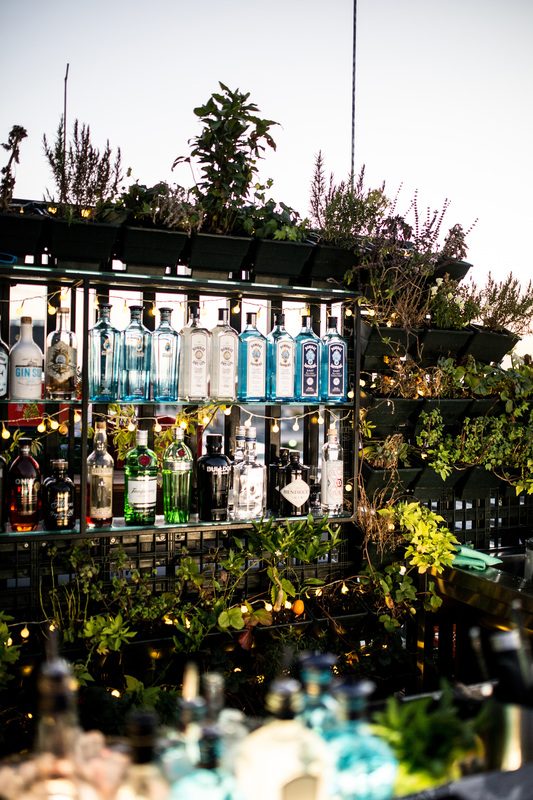 The first meeting point: the roof terrace in the Gin & Tonic Bar in Berlin-Mitte.